Determine Your Desired Key Goals – When considering the sale of your business, there are certainly many areas of importance. As a business owner you should understand your key priorities involving the sale of your company. For example, some owners may decide upon a minimum valuation they feel their business is worth. This could mean that they hold-out if any bids are made that are below the amount. 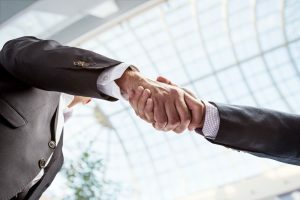 Others may feel that they want to continue to have some active involvement in the management and development of the business following its sale. In some situations, owners may look to maintain a seat on a board or relinquish ownership but not the ability to stay involved in some day-to-day role. Have a Plan for Growth – Owners should view the potential buyer or buyer entity purchasing the business as an outside investor. Why? Because ultimately the purchase of your business is done in order to acquire a technology, market share, or additional strategic element that adds value to the purchaser. In order to effectively sell your business, you should have a well-developed and well-supported plan that discusses the business’ projected growth and value to a potential acquirer. You should also understand potential issues that may impact or kill a deal so that you can adequately consider and address them in advance. Scalability and Integration – Similar to growth is the idea that a business that is being pitched for sale should be able to provide insight into how it can scale up in size. Purchasers want to be able to visualize the ways in which the business can continue to develop and expand so as to increase profits without jeopardizing the business or internal structure in which the purchaser is ultimately investing. For example, you may need to consider key employees that may need to stay on in the event of an acquisition. Use the Right Personnel to Sell Your Business – It’s not always easy to sell a business. Businesses that use the right people to navigate the sale process address issues in advances and proactively structure the deal to facilitate the transaction. Attorneys, consultants, and experienced professionals can help create, develop, and market successful business plans to potential buyers and investors. Although hiring these individuals will may add an extra step in the process, it may be the investment necessary to structure the best possible outcome and helping make sure that the deal actually can actually close. Deciding to sell your business is both a difficult and an exciting time. Still, in order to obtain the best possible value and outcome in connection with your sale, you should obtain the advice of skilled, knowledgeable Silicon Valley business attorneys. The team at Structure Law Group has the experience necessary to help your business navigate the legal requirements of a sale while also helping you meet your desired objectives from the sale. You can schedule a consultation with one of our experienced business lawyers by calling our office at 408-441-7500.